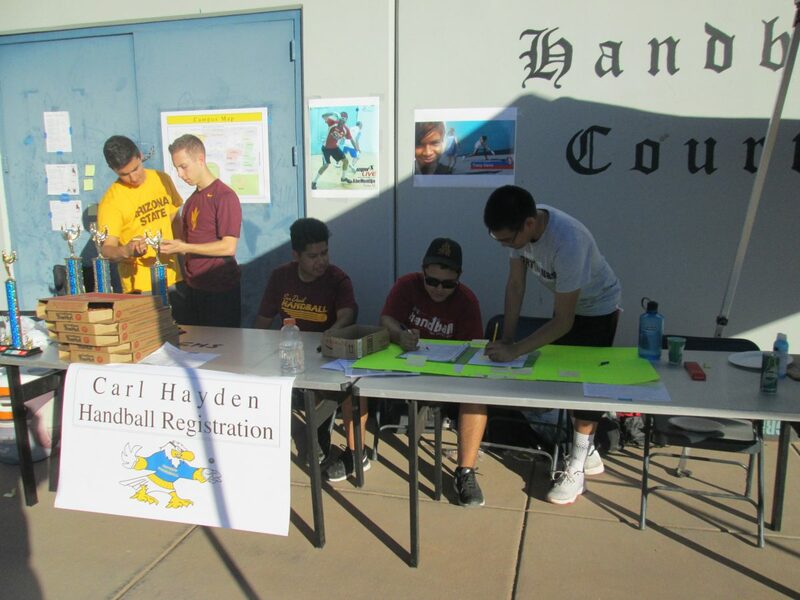 Everybody had a good time at the Carl Hayden High School 3-Wall handball tournament & Car Show. 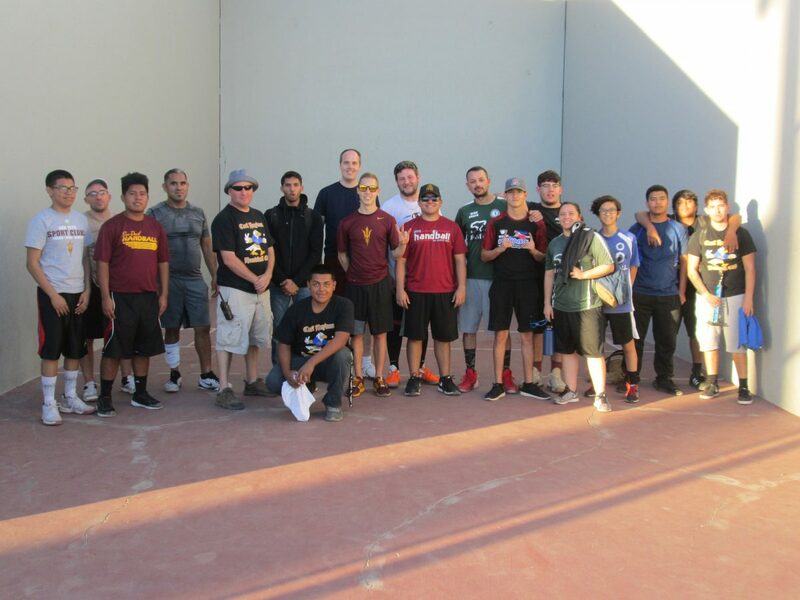 Good sportsmanship, competitive matches and low-riders were on full display! 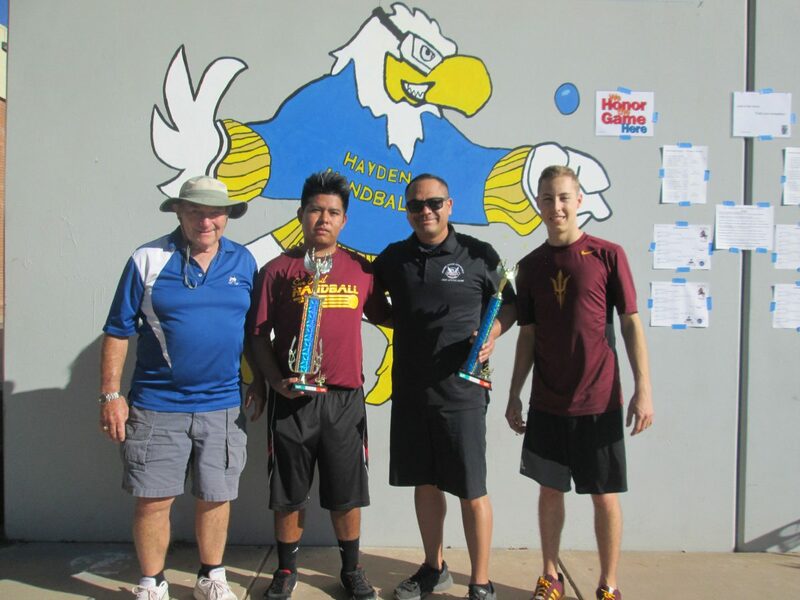 There were three divisions and each featured 16 participants in this two-stage event. In the first stage, the players were put into four round-robin pools of four players each. After they played all opponents, the top two from each pool advanced to an eight-player single elimination championship bracket. The bottom two players in each pool advanced to an eight-player single elimination consolation bracket. Each player was guaranteed four matches against four different opponents. If a player made it to the finals in his bracket, he would have played six matches against a minimum of five different opponents. Comments afterwards indicated that players liked playing lots of different opponents.